Two-time Emmy nominated actor Bob Bergen is one of the top voice-over talents in the entertainment industry today. He currently stars as the voices of Porky Pig and Tweety in the new Warner Brother’s series the New Looney Tunes. This marks his 27th year as voicing Porky Pig, one of the world’s most beloved and iconic cartoon characters. Bergen’s countless animated features include Minions, Sing, Despicable Me 3, Wreck it Ralph, The Secret Life of Pets, Trolls, Tangled, Tinker Bell, Spirited Away, Cars, A Bug’s Life, Monsters, Inc., Iron Giant, The Emperor’s New Groove, WALL-E, Toy Story 2&3, Up. For 20 years he’s voiced Luke Skywalker in dozens of games as well as three Robot Chickens and Star Wars specials. Series work includes Star Wars: The Clone Wars, Marvel’s Avengers Assemble, Clarence, Mr. Pickles, TripTank, Curious George and others. At age five, Bergen announced to his parents that he wanted to be Porky Pig. His mother replied, “You can’t be Porky Pig. You’re Jewish.” Despite this, he was determined. At fourteen Bergen phoned legendary voice-over artist Mel Blanc after researching a dozen or so phone books, crashed a recording session pretending to be Blanc’s assistant, and watched him in action. Realizing he needed training, and for his voice to change, Bergen began studying voice-over with every voice over coach Los Angeles had to offer. Combined with two years at a Meisner acting conservatory and three years of improvisation study with The Groundlings, he was able to secure an agent at eighteen and pursue his dream. He did this all the while working as a tour guide at Universal Studios, allowing him to eat. Bergen has performed in all aspects of on-camera television: from sitcoms to soaps to game shows – hosting Jep!, the kids’ version of Jeopardy! on the Game Show Network. 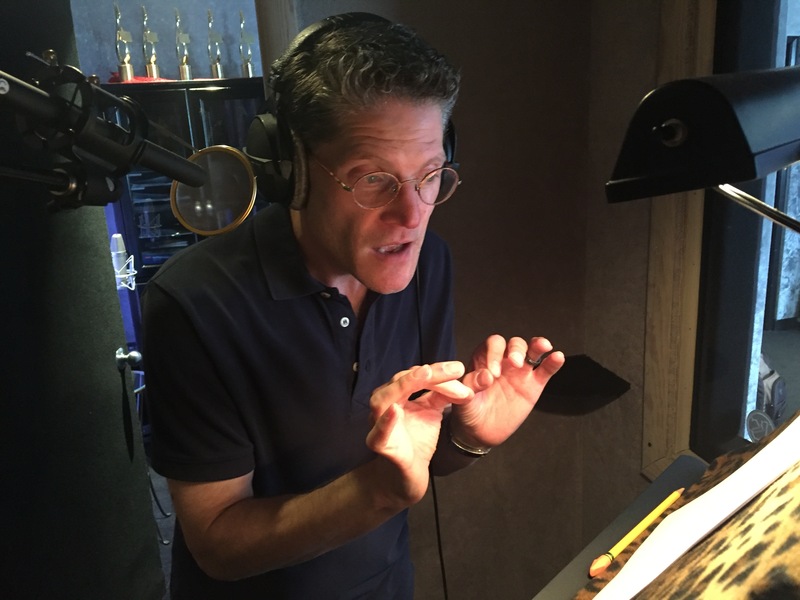 As one of the most respected working voice-over artists working today, it is likely that the next time you watch an animated film or television series, one or many of the voices you will hear will be straight from Bob Bergen’s mouth.